Replacement fuel filter elements, complete with seals, for the Racor 900 series Turbine filter family. 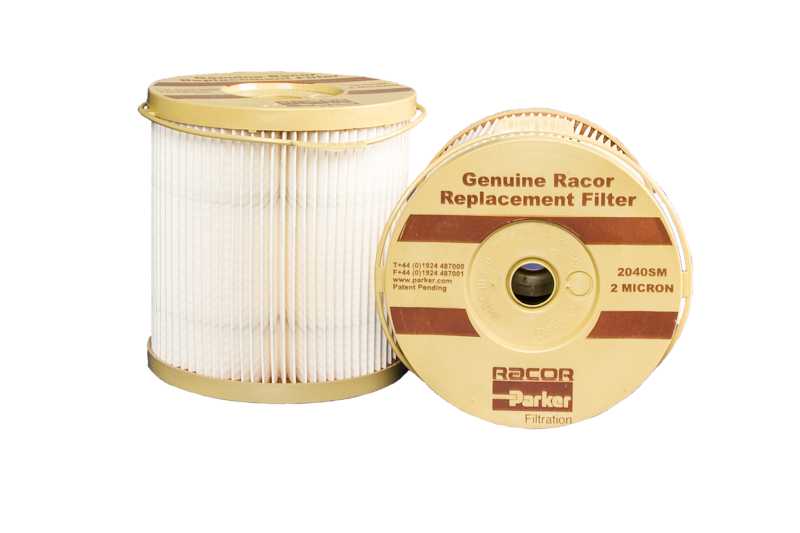 These are genuine 2040SM Parker Racor fuel filter elements with the Aquabloc water repelling treatment, ensuring that your Parker Racor filter operates to maximum efficiency. Max Flow Rate 341 LPH.